Want to create a business that Thrives? Develop your leadership skill? Or, start living a soul-satisfying life? I am a business and mindset expert and an intuitive who can help you and/or your team. My passion is helping business owners, leaders, sales professionals and managers discover how to have a soul-satisfying life AND a business that thrives. I work from both a very grounded and practical approach and incorporate my psychic ability to intuitively guide you towards your personal and professional success. If you aren't satisfied with the results you are getting, aren't making the kind of money you want consistently, or sometimes feel like you are all alone and you need someone to help you stay on track I can help. My clients say I’m the trusted adviser they've been hoping for who understands what it feels like and who knows how to help them turn things around. After working with 100’s of business people, and owning my own 5 businesses, I have cultivated a variety of tools and techniques to help any business owner, leader or manager learn how to do what they do better. I have created a Leadership program called Loving Your Business to Wealth that incorporates the strategies of successful business leaders. My clients have doubled and tripled their revenues, offered multi-million dollar offers to sell their businesses, started working less hours while making the same and even more money and started enjoying the freedom and choice that being a profitable business brings. All of my clients tend to feel better and more in control within the first few weeks of our working together. I started Business Consulting in 1999 and was invited to become an EMyth Business Coach in 2010. After working with clients from around the globe I opened Zest Business Consulting in 2012 and continue to work one on one with coaching clients, lead groups, teach Entrepreneurship and speak to groups and companies around the world. Have you worked with Jennifer? Tell your friends! Jennifer Martin knows business, inside and out. She is smart, caring, up-to-date, and very keen on seeing the business you want to create, become a reality and THRIVE. I always look forward to working with her, and know that she has my best interests at heart. She is very personable, and approaches your business holistically, with a sense of how it will fit into the rest of your life, and make your life more enjoyable, rather than more stressful. I can not recommend Jennifer highly enough! I really enjoyed Jennifer Martin's Tapping Your Way to Wealth Group Program. She was a knowledgeable, patient, and upbeat teacher and she helped make the class fun, interesting and safe. In just 8 weeks, I have broken lifelong money habits, feel empowered about money and I'm starting to see amazing changes in my life too. If you feel overwhelmed, frustrated, depressed, stuck or are not making and/or saving as much money as you would like or had envisioned for yourself, take this class! This group has totally changed my life and it was one of the best investments I've ever made for my financial and emotional future. One hour a week from the comfort and privacy of your home. Bless you Jennifer. Having never worked with a consultant before I wasn't sure what to expect. As a new entrepreneur I had a lot of questions and Jennifer made the whole process so easy, I walked away with a plan to move forward. Thanks Jennifer! Jennifer Martin is an amazing business coach! I was turned off to coaches for awhile because I had a pretty disappointing experience before Jennifer. I am so glad I took a leap of faith and started working with her because she has been incredibly helpful on many levels. She goes above and beyond and gives whole heartedly to each session. She is quick witted, honest, and very savvy. If you are looking for direction or need help growing your business, I highly recommend Jennifer. I referred a few friends to her and they are all super happy and have seen growth in their business since working with Jennifer. She helped me think big and my business is and will continue to benefit from our work together. "I began one on one coaching with Jennifer Martin a little over 6 months ago, and they have been the most productive and innovative 6 months I have ever had! Her ability to find creative, yet down-to-earth solutions has supported myself and my leadership team with key Club decisions. In addition to this, my entire team truly enjoyed the half-day retreat Jennifer helped to create and facilitate - each and everyone of them felt connected and engaged! Thank you!" ""Thanks to Jennifer Martin and Zest Business Consulting for the awesome job you did at our 2015 USC Hospitality Leadership Summer Summit! Our groups not only had a blast, but they also learned a lot about guest relations and how to handle difficult people and customer complaints. Our entire team found your energy contagious and we were still hearing "yeah baby" after you were gone. If someone is considering hiring you as a guest presenter or a keynote speaker, we can highly recommend you. Thanks again!"" "I am lucky to have discovered Jennifer's services, which proved extremely useful in bringing up questions that I had not thought to ask at a time where clarity was key. She is capable, supportive, results-oriented, and above all knowledgeable about the required steps. As I expand my small business, I intend to continue working with Jennifer in order to maintain an overview of what it takes to reach my goals, a healthy perspective of available opportunities, and to keep moving forward." "I would never have had the support I needed to focus on my latest product launch without my secret weapon and business coach, Jennifer Martin. She helped me make the systems for myself and employees that held strong while the boss disappeared into Bind-Offs Land! If anyone reading this owns a business and is experiencing any kind of burn-out, please call Jennifer." I started working with Jennifer over a year ago in an effort to grow my alternative health care practice. From the first time I met her, I was struck by her warmth of character yet absolute confidence in what she does and how she handles herself. As I continued to work with her over time, I was repeatedly in awe at how many great and innovative ideas she had for me to grow my business and gain self-confidence as a new business owner. Jennifer, Thank you for the time and the attention you have dedicated to helping me and my business grow and improve over the past several months. Your professional counsel has already dramatically altered the way I view and conduct my business, and I’m sure your advice will continue to positively influence my future business decisions. Jennifer Martin has x-ray vision! And, in spite of that, she handled the soul of my business with a unique dexterity. Not only seeing through my distracted exterior into the "super" spirit-vision within, but deftly guiding and building it from the center. In the course of only a few lengthy, laser-focused meeting I was left with a fresh air of clarity I haven't had since the beginning of my 11 years of building this family-based business empire. I would recommend Jennifer as a business coach to anyone looking to grow, develop, expand, or simply be better in business and in life. I have had worked with many sales and marketing strategists over my 20-year career and had lost faith in the industry until I met Jennifer Martin. She is absolutely the most uniquely gifted Business Consultant I have met. Within the first month I was convinced that Jennifer is a brilliant business coach—both challenging and supportive and able to maintain a progressive balance between two business partners with strong opinions. The E-Myth model is clear, brilliant and effective. I've been through many kinds of professional improvement classes, but never anything that was so practical, useful and transformative. We were able to break through some deep barriers and find common ground along with personally satisfying ground. Now we're better positioned to move forward together. Jennifer has created the comfortable yet challenging environment that encouraged that to happen. Since I started with Jennifer, I went from owning a failing supermarket to owning a growing supermarket and a convenient store. The supermarket was down 9% from the previous year when I started, and within one year it bounced back to having an increase of 2%. That is an 11% upward trend in sales, which is huge in this business. We are beginning to see profits at an all time high and the infrastructure is stronger than ever. The way it is going, we are primed for massive growth and this is just the beginning. I am now able to go in to work and focus 100% on my business. My confidence level has rose to an all time high. What surprises me the most is my ability to mentor my staff the way that Jennifer mentored me. Everything she said seemed so wise at the time, but I didn't know if I was going to be able to pull it off. She believed in me. She encouraged me. She guided me. Thank you, Jennifer, for the life changing experience. We have utilized many coaches and business building trainings in the past. Unfortunately, none were able to coach both of our individual personalities to effectively push us out of our comfort zone. 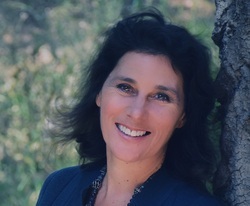 Jennifer Martin has the unique ability to understand where her clients are in business and life. Using this information, she forms a plan of action that resonates with each client pushing them to be and do what they did not know possible. As husband/wife co-owners, Jennifer was able to help us get past barriers we could not break through. With Jennifer’s ability to challenge yet support, we reached our original 10-year goals in just over 18 months. Anyone in business who has the desire to succeed would be lucky to have Jennifer as his or her coach. Jennifer Martin helped me enormously as a business coach helping me with my clarity and vision with my business as a wellness practitioner. I felt like I was at a stagnating place with my business and I wanted some fresh ideas and she was the perfect person to guide me to implementing new strategies and getting me excited again about what I do. I feel like I'm constantly growing as an entrepreneur as a result of the tools I learned from my work with Jennifer. I highly recommend her to guide anyone to get to the next level regardless of where you're at. Jennifer hasn't submitted any articles.